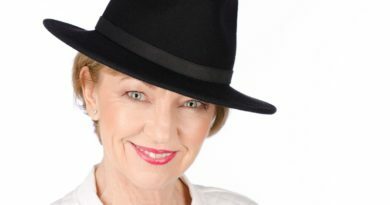 Writers, artists, business people, musicians, actors and literature fans turned out to hear Author Miriam McGuirk speak about her life journey and read extracts from both her books at Xross Poly-Nation Art Gallery in Maidstone. 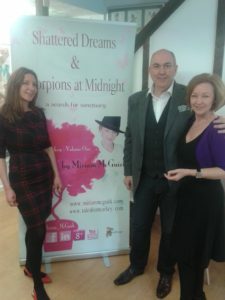 Having shot to success in 2015, publishing two books within a 6 month period, Author Miriam McGuirk lives in Maidstone and reached out to the community to share her story of overcoming personal health challenges to become the success she is today. 19 years ago Miriam was diagnosed with M.E and Fibromyalgia. This put a stop to her successful career in the hotel, hospitality and health industry and for years Miriam battled to control her illness. After accepting her new life and embracing change, Miriam started to make progress and with the help of her ‘super-hero husband’ Chris, made a new life in the South West mountains of Turkey – where she now lives for up to five months of the year. 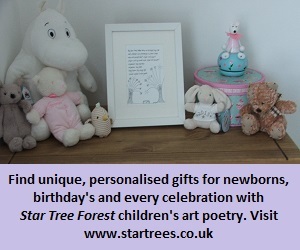 In this healing, peaceful environment Miriam started to regain some of her energy and write poetry – going back to her creative roots. 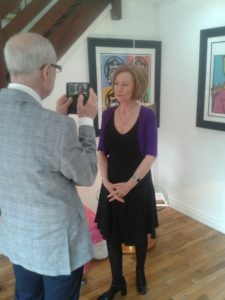 Growing up in Dublin, Ireland, Miriam was surrounded by art and after coming to London and being on a work treadmill which saw her burn out, she decided to re-embrace her creative skill of writing. 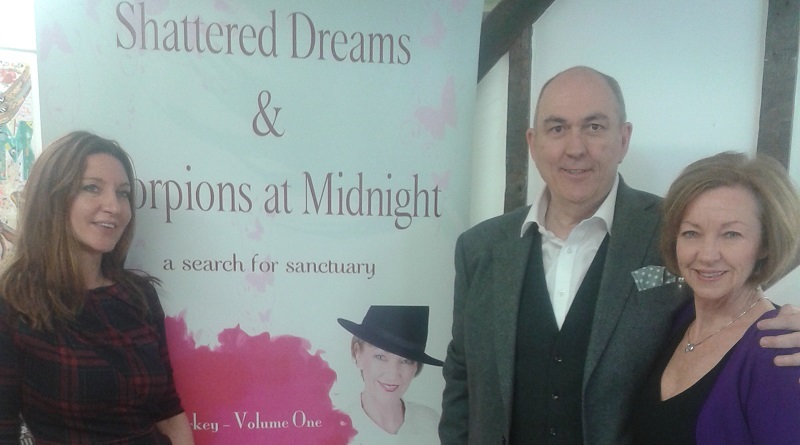 The inspiration for her first book pr oved to be on her doorstep and Miriam McGuirk’s book ‘Shattered Dreams & Scorpions at Midnight – a search for sanctuary’ was born. Composed of a series of short stories, telling of Miriam’s adventures whilst settling into an Eastern community. 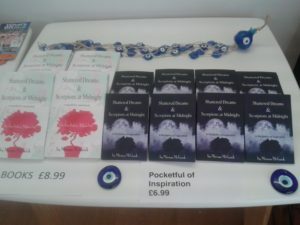 Her second book – Miriam’s first pocketbook – ‘Shattered Dreams & Scorpions at Midnight – a pocketful of inspiration’ twinned inspirational quotes from her first book alongside stunning photography of Miriam’s surroundings in Turkey. 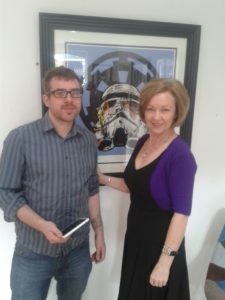 At Xross Poly-Nation Art Gallery Miriam’s Guest of Honour was serial business entrepreneur and CEO of Jobs in Kent and owner of Channel Radio Paul Andrews who spoke about combining business and creative thinking and how small businesses and collaboration are the future. Paul’s introduction was followed by Miriam who spoke about how she became successful, the truth behind her health challenges and the drive behind her motivation to succeed. The event was an outstanding success with Miriam reaching out to the community and being embraced in return. Soon, Miriam will return to Turkey to start writing the second book in her three book series.